Recaro recalled more than 173,000 seats because a tether can break, leaving seats unsecured. Recaro Child Safety initiated a recall this week of more than 173,000 car seats after finding a strap that holds the seat in place can detatch in the event of a crash. The recall covers 173,063 ProRIDE and Performance RIDE Convertible car seats manufactured by Recaro between April 9, 2010 and June 9, 2015. According to a notice [PDF] the company sent to customers, when the affected car seats are installed using the top tether, the top portion of the restraint can crack and separate. As a result, in the event of a crash, the restraint could fail to protect the child from contacting interior surfaces of the vehicle, increasing the risk of injury. 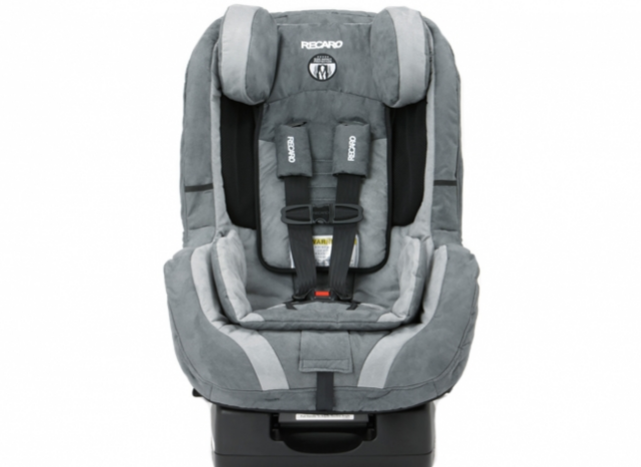 Recaro says it has received no reports of injuries related to the recalled car seats. The company will send notification letters to all registered ProRIDE and Performance RIDE owners who are affected by this recall. Consumers will also receive a fix kit containing a tether load redistribution strap and instructions for how to affix the new tether load redistribution strap to the car seat. “The safety of your child is our number one concern,” the company says, noting that if customers have questions regarding the ProRIDE and Performance RIDE recall to contact Recaro customer service at 1-866-628-4750 or recarorecall@m-s-s.com.